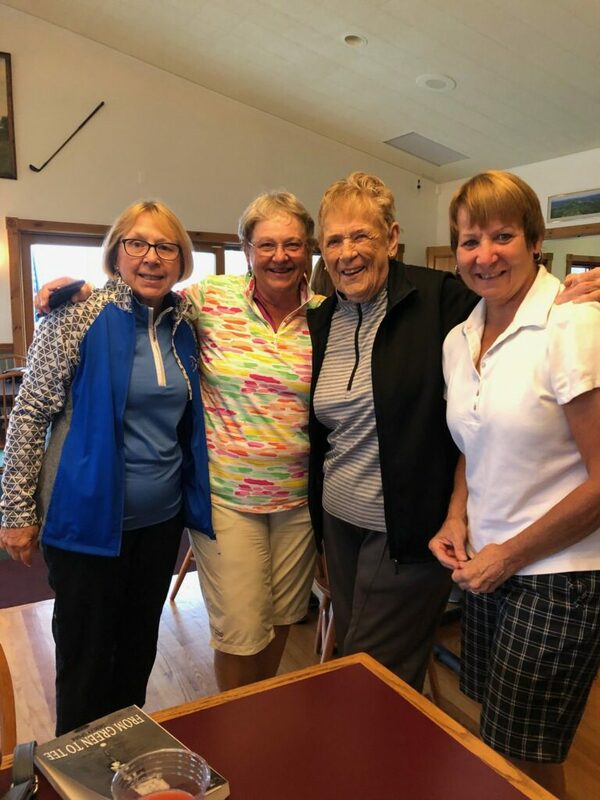 L-R: Chris Johnson (VSWGA past president), Peg McBride (VSWGA Vice President), LPGA founder Shirley Spork, and Sharon Noel, past president of the St. Johnsbury CC women’s association. VSWGA members Chris Johnson, Peg McBride, and Sharon Noel joined LPGA founder Shirley Spork on September 2018 at a showing of the documentary “The Founders” at Newport Country Club. Newport Pro Diane McHeffey worked for Shirley Spork decades ago and they have remained friends ever since. Shirley was the first female golf pro in Vermont, when the Sugarbush resort golf course opened in Warrenton. She also gave clinics at the Montpelier Elks Country Club. Shirley spoke before the film showing, then signed copies of her book “From Green to Tee.” Proceeds from the sale of her book benefit Junior golf and women’s college golf programs. She stayed in Newport for last year’s women’s invitational where she hit the inaugural tee shot. She’ll be 92 years old on May 14. The Founders is a documentary about the women who started the LPGA. 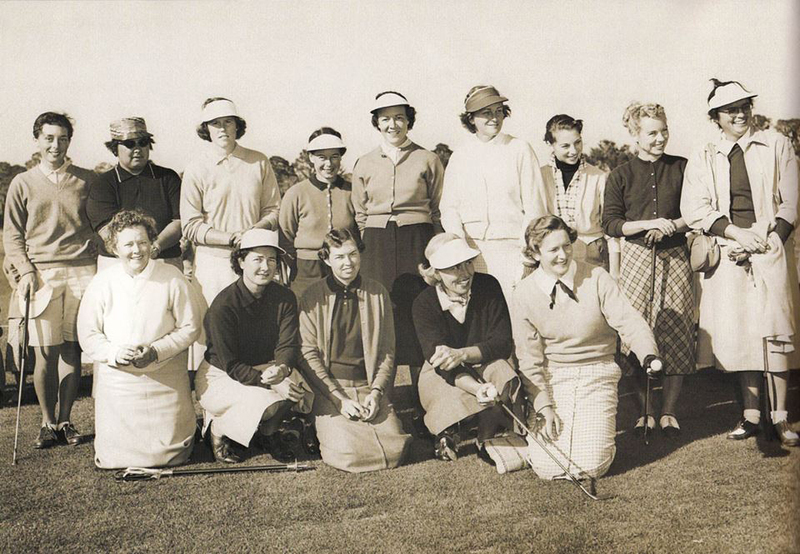 LPGA Founders: Alice Bauer, Patty Berg, Bettye Danoff, Helen Dettweiler, Marlene Bauer Hagge, Helen Hicks, Opal Hill, Betty Jameson, Sally Sessions, Marilynn Smith, Shirley Spork, Louise Suggs, and Babe Zaharias.